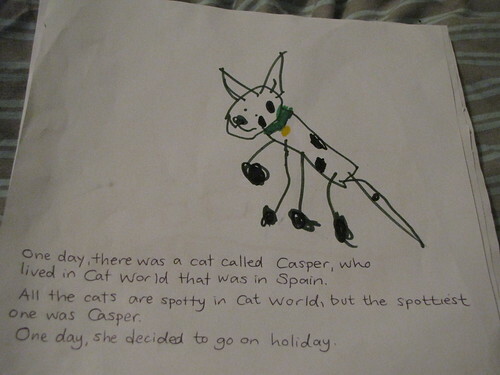 Wow, Item really ran with huskyteer's late entry: Cats going on holiday. So much so that she's making a 'chapter book' out of it. She did 4 pages tonight and plans more tomorrow. 'Only happy things happen' though. 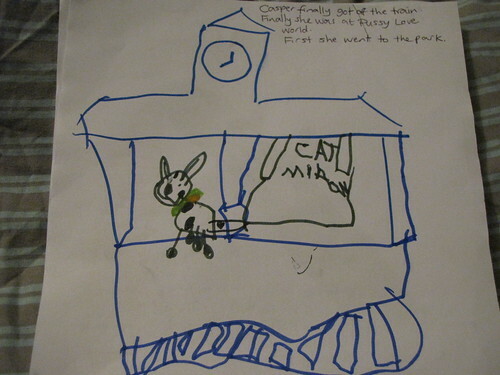 She drew the pictures and then narrated the text to me. 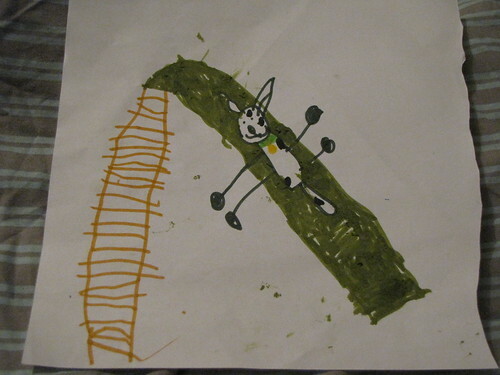 No text on this one yet, but it is my favourite: Casper on the slide at the park. Apparently 'she' is also meant to be eating a 'mouse ice cream' but I think that got forgotten. As a side note, I am really enjoying doing some drawing myself, with media like felt tips that I don't normally do much with, and trying to be as free and unjudgmental of my own stuff as Item is. The things I'm coming out with are quite different from anything else I've ever done, even if they're not really worth displaying.